View More In Concert Percussion Accessories. Nothings more precious to a drummer than his sticks! Reward him with a set that is uniquely his. These Personalized Drumsticks are high quality and ideal for either the student drummer or the seasoned professional. They also make for a great conversation piece displayed in your rec room. Personalization appears on both sticks. Cool! - Standard sized drumsticks measure 16" long with a 2" circumference. - Personalize with one line up to 20 characters. 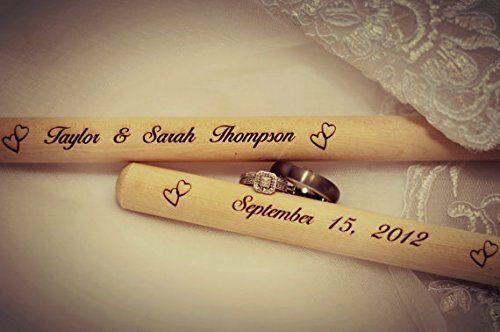 We have several fonts to choose from as well as images we can put on your sticks. Let us know if you have any questions. 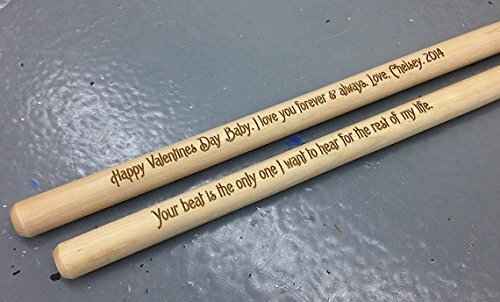 This listing is for a pair (2) laser engraved drumsticks personalized with your own text. Excellent gift for any drummer. 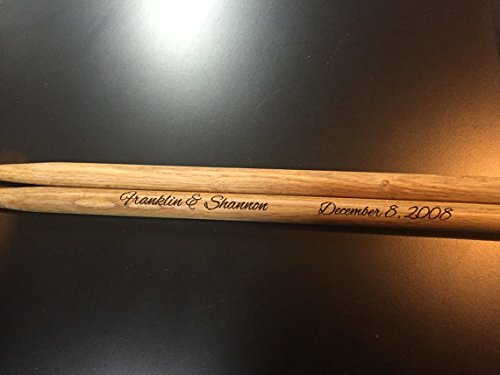 Each drumstick can have the same or different information engraved on it, no extra charge. Many fonts to choose from. If you have any questions about this product by Angie's Cards and Gifts, contact us by completing and submitting the form below. If you are looking for a specif part number, please include it with your message.